Many in Dallas have no doubt been eagerly awaiting the June 4 unveiling of the Dallas Stars' new logos and uniforms. Probably not as many as are eager to glimpse Buster the Armpit Lion on the Mavs' new duds, but logo changes always generate a bit of buzz. It looks like Stars fans won't have to wait the extra couple weeks. 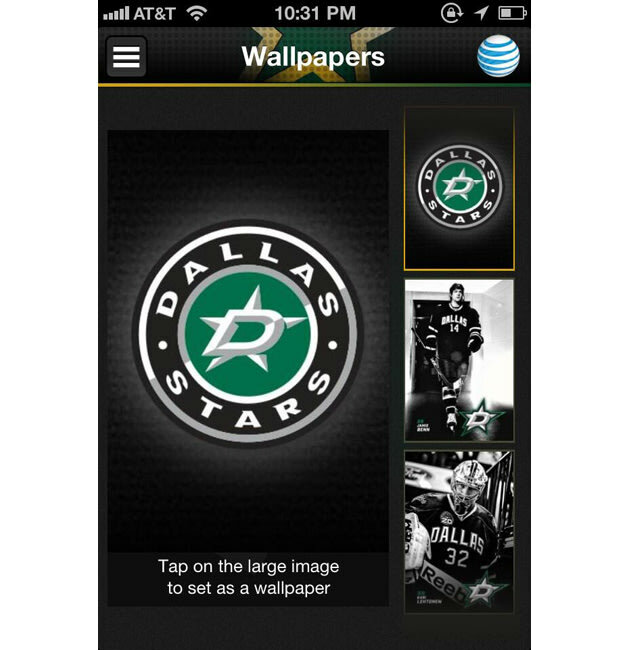 Yahoo's Puck Daddy blog posted a screenshot of the team's new smartphone wallpaper, which features what looks an awful lot like it's the team's new emblem. "What I wanted for this franchise was a logo and a look and a crest that when you look at it has timeless, original-six, vintage, classic qualities to it," Stars owner Tom Gagliardi said back in January. This seems like a mistake, but Deadspin cautions against assuming this will be the head of some hapless young member of the franchise's media department. Probably not an oops. These official-unofficial "leaks" are becoming the standard for logo reveals. Over just the past year, we've seen: the Nets logo on the wall of an under-construction Barclays Center; the Astros logo sold on iPhone cases; the Dolphins logo on some ready-to-ship merchandise. All put out to build up buzz before the official unveiling--and with the internet, just as effective. Intentional or not, get used to the the new design. The team's had its current one since they moved to Texas two decades back.